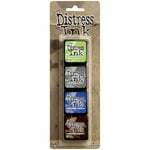 Use the Mini Distress Ink Pads Two by Tim Holtz for Ranger to create the perfect vintage, aged, or stained look on a project. These dye inks are acid-free, water-based, fade-resistant, and non-toxic. 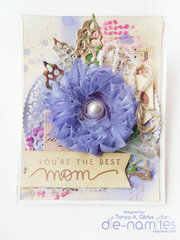 Each ink pad has a 1.25" x 1.25" raised felt pad for easy application to paper. Re-inkers are available and sold separately. This set includes Fired Brick, Mowed Lawn, Salty Ocean and Seedless Preserves. I plan to buy all the mini ink kits, but the #2 kit colors are working nicely for my holiday projects. I discovered if you ink a pine cone stamp in the green first, then ink with the grape, you get a perfect pine cone brown. 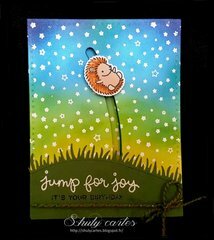 I really like the mini size for direct inking to rubber stamps, or adding subtle color to the edges of a tag or card. 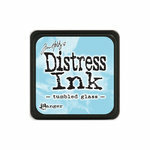 I simply love these mini distress ink pads. They stack and take up so little space as they are only 1 1/4" sq. These are the perfect size to hold too... no more fumbling and getting ink all over the place. Perfect for large or small ink job. I purchased 3 different mini kits. Nice to get the sets I don't have in one place. Good colors nice to use for different techniques. I am loving these tiny ink pads so far. A good way to get lots of colors for not a lot of money. I like these to paint with. I have purchased 36 colours to fit into 3 of the storage tins and they are great to go to retreats with. I take a polymer block and swipe the ink pad across it and then use either a water brush or an ordinary brush with a spritz of water. These inks are like gouache paints...they just keep activating with every addition of water. Love them! 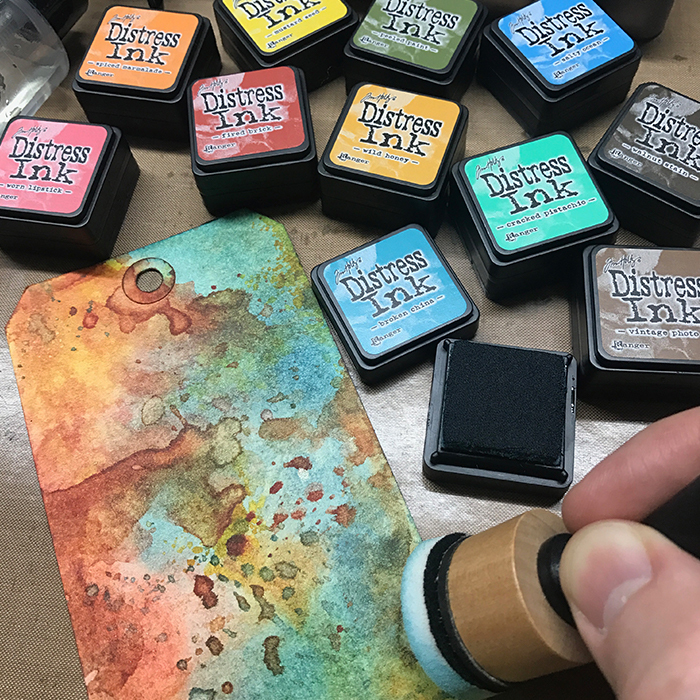 Love the distressed inks, but it's a big investment to try and get them all and some colors you only use occasionally so these new mini inks are the perfect solution to both. It also offers an opportunity to try out inks that you may have passed on before and find that you really love using it. Great new product. 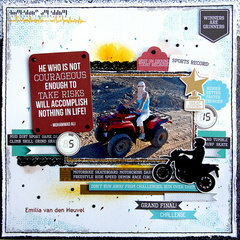 Number 14-15 of distressed inks’ description does not give the colors in the description. Love them want to try other colors and then order the larger ones. Love the ink collection! An addition to my own collection.